Without even realising it, The Magnificent Thread has just passed it's 1st birthday! 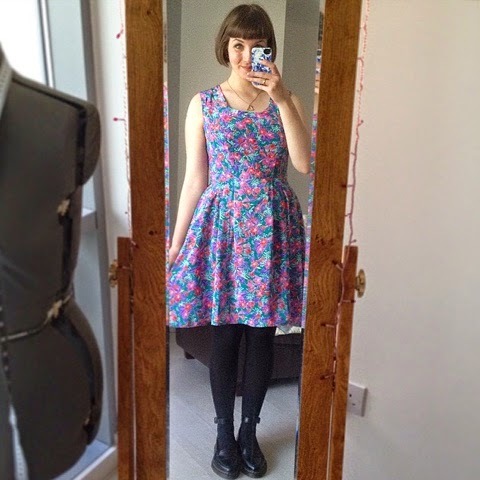 I think I approach my sewing with a lot more consideration and confidence than I did a year ago. I'm not just making garments by the book (or pattern) any more. I've ventured into alterations, tricky fabrics, (and the more expensive ones that I would've been terrified to even cut into this time last year! ), and of course, pattern drafting. So I think this sew is a nice one round up a year of blogging about my developing sewing skills - a Self-Drafted /Lilou hack! I've blogged a number of makes from Tilly Walne's Love at First Stitch, including two Lilou dresses (see here and here). 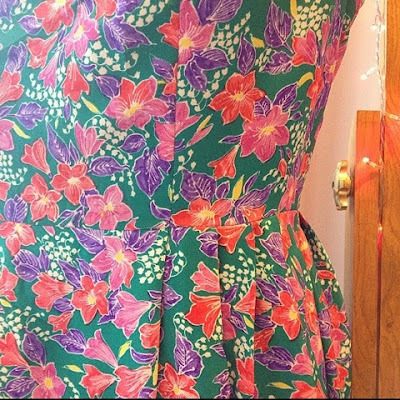 I love the Lilou's pleated skirt, so I decided to combine this with my self-drafted bodice, which I've used and wrote about many times. My self drafted garments are all based around a pattern/block that I made at evening classes at Leeds College of Art (which I wrote about here). I'm trying to experiment with the pattern a little each time, so for the purpose of this dress, I altered the bodice centre-front pattern piece to create a round neckline. The all-in-one-facing creates a neat finish to both the neckline and arm holes on sleeveless garments, and it provides a bit of structure and support around these openings as it's interfaced. 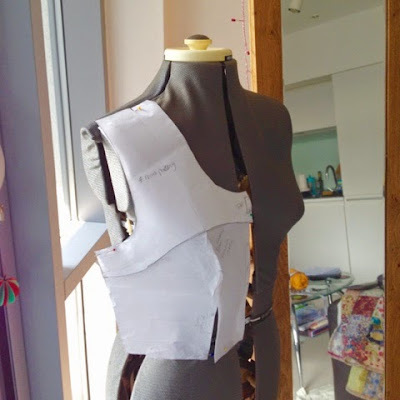 The process of applying an all-in-one facing can be a little bit confusing, but Dolin O'Shea's Famous Frocks: The Little Black Dress offers a great step by step 'how-to' - I'm sure there are some brilliant tutorials online too! 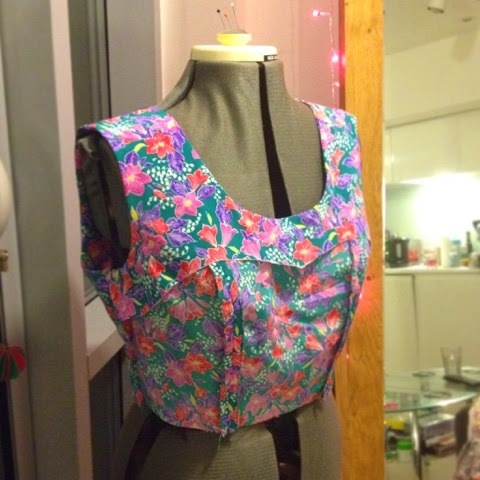 After making the alterations to the bodice pattern, I had to do a few tweaks to the Lilou skirt pattern pieces. I only had to move the positioning of the pleats very slightly to make them match the princess seams on my bodice. I also added 1cm to the side seams to make sure everything matched up right. Ideally I would've made the skirt longer - probably below knee length - but my fabric wasn't nearly wide enough (or long enough). 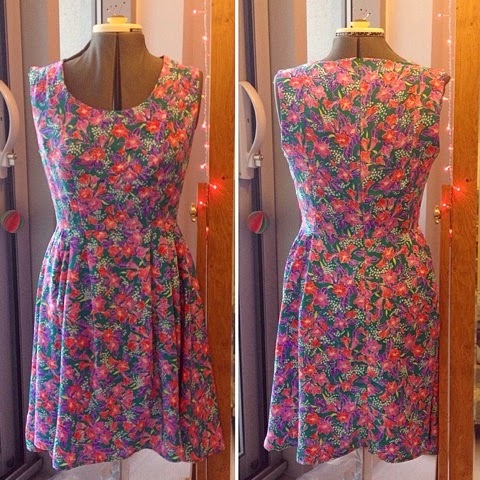 I had to do some very questionable pattern placement/squeezing in just to get the dress finished. 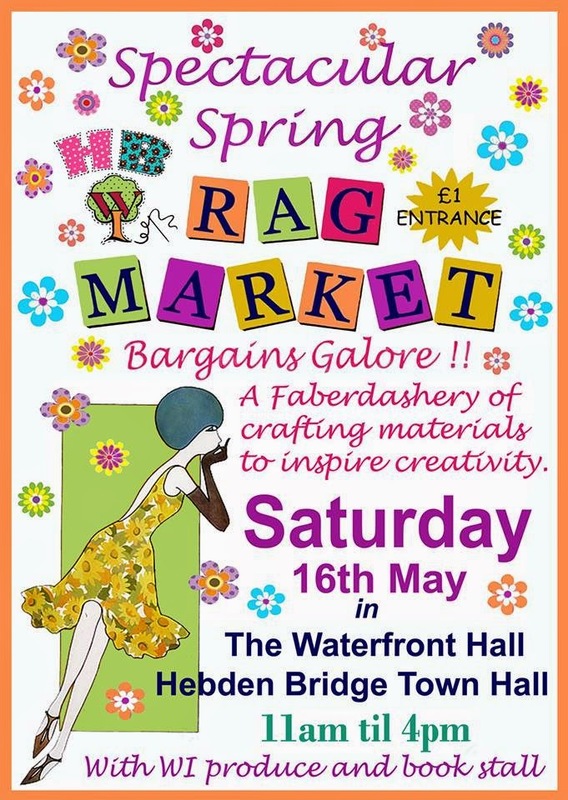 Exciting stuff and I'd definitely recommend going if you live in the area! You can find the latest details on the Facebook page. Hope to see some of you there! Gorgeous dress. The bodice is fab, and what's not to love about Lilou's skirt?! I've made a few versions of it myself. And I think the length is grand. That all in one facing looks awesome! So much nicer than the ones that flap about around the neckline. I'm very impressed with all your pattern drafting. Your skills have developed so much over the last year.